The existing road is in urgent need of repair. It has a severely depleted pavement with surface cracking and pot holing evident throughout. 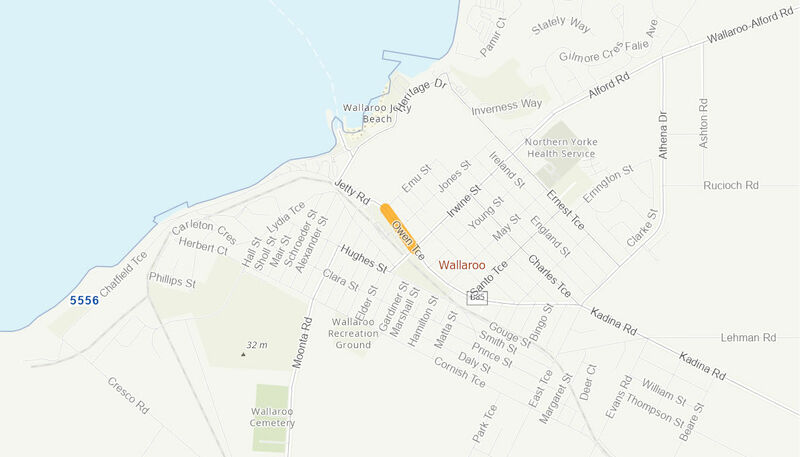 This road is the main road of Wallaroo and is currently aesthetically unsatisfactory. Completely reconstructed road with asphalt seal, concrete kerbing and underground storm water drainage.